Alabama opened up spring practice Friday, and one notable player was missing. Touted Washington LB transfer Ale Kaho didn’t attend practice, and Nick Saban was asked about it during his first media availability. 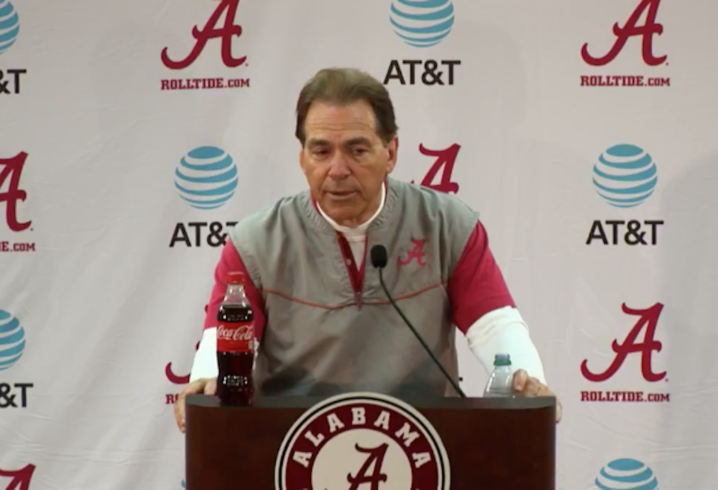 “He’s got some issues that he’s dealing with,” Saban explained. “We’re trying to be supportive of him every way that we can. I think that we’ll just continue to try to help him every way that we can. That doesn’t sound great for the Tide’s defense. Kaho transferred from Washington and arrived after fall camp had already started. He made 11 tackles last season and played a nice role on special teams. Per 247Sports Composite Rankings, Kaho was the nation’s No. 7 LB in the class of 2018, and this is certainly a big hit for the Tide’s defensive depth. 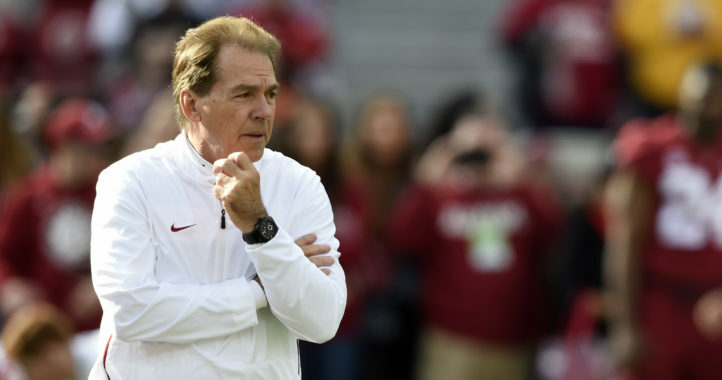 The LB position hasn’t been great for Alabama in recent years, and things are already off to a somewhat disappointing start. 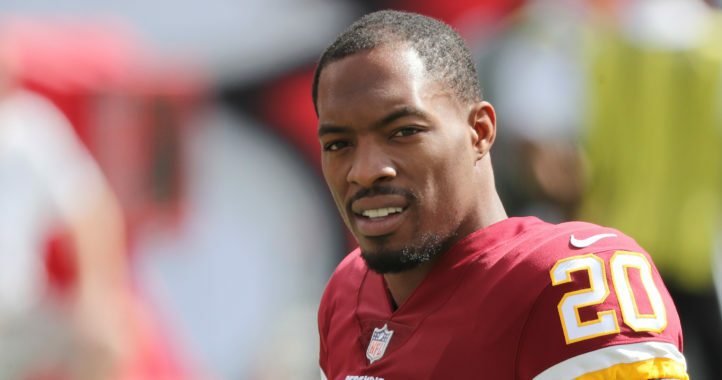 He has family issues… Those issues aren’t going away no matter where he plays… He is going to have to work through them hopefully. He had gen at Washington too and then chose to transfer all the way to Alabama? He’s from Nevada.. If I had problems with my family that bad as a student athlete I wouldn’t choose the other side of the country to go to school.. Sometimes it’s about getting out from under your parents but hey I’m sure everyone is just like you…. Why? Distance? Alabama isn’t equipped to help a player with off the field problems? Do you what the problem is so you are qualified to opine. I’ve read your posts and find none hateful or malicious. I’m just pointing out that everyone seems to have an opinion about a personal situation with a person none of use has ever even met. It is my hope that he can resolve his problems and move on to a good life. He had the personal situation at Washington as well and then chose to go Alabama. Well the situation never left.. from what I’ve read it’s a family issue and that’s why I find it odd that he chose to go to two schools that were far away. BT, there’s no right or wrong answer here. I just find it odd he went away from home with all the issues. Most kids move closer to home or stay closer to home so they can be there with the family.